The news of famous French fashion designer Christian Louboutin’s ‘red sole’ shoes with their sky heel stiletto and iconic red sole often regarded as the fashion statement has recently been in the limelight for being declared as a well-known trademark by Justice Mukta Gupta, Delhi High Court, but very few know the story behind the iconic red sole until now. After dissecting Christian Louboutin’s Rizzoli book, it was discovered that while starting off his career as a landscape gardener, it was actually the nail polish that gave Louboutin his inspiration. The renowned reputation of the ‘RED SOLE’ trademark has not been hidden from anyone and is spilled over into India from various countries around the world and consumers are well aware of this goodwill and reputation. The luxury shoe brand had recently moved the High Court seeking a permanent injunction to restrain the traders, i.e. ‘Kamal Family Footwear’ and ‘Adra Steps’ in Delhi’s Karol Bagh from manufacturing and selling or in any manner, the shoes using his trademarked sole or the design which is deceptively similar or identical to his distinctive design as shown below. 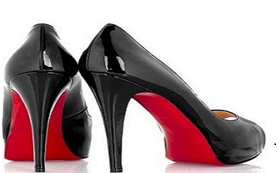 The Court observed that the Christian Louboutin’s red sole has been a well-known luxury brand with presence in over 60 countries including India and has been using its ‘red sole’ trademark extensively and continuously since 1992. Author: Rashi Gahlaut, Trademark Associate at Khurana & Khurana Advocates and IP Attorneys can be reached at rashi@khuranaandkhurana.com.